Brimming with heartfelt relationships and authentic high-school dynamics, The Start of Me and You proves that it’s never too late for second chances. It’s been a year since it happened—when Paige Hancock’s first boyfriend died in an accident. After shutting out the world for two years, Paige is finally ready for a second chance at high school . . . and she has a plan. First: Get her old crush, Ryan Chase, to date her—the perfect way to convince everyone she’s back to normal. Next: Join a club—simple. It’s high school, after all. But when Ryan’s sweet, nerdy cousin, Max, moves to town and recruits Paige for the Quiz Bowl team (of all things! ), her perfect plan is thrown for a serious loop. Will Paige be able to face her fears and finally open herself up to the life she was meant to live? Emery Lord is one of those incredibly talented authors who can tell stories about young adults in an incredibly sincere and realistic way. Her ability to get into the mind of teenagers and tell their stories truthfully and in a way that doesn’t undermine what they are going through makes her a wonderful addition to the world of contemporary YA. 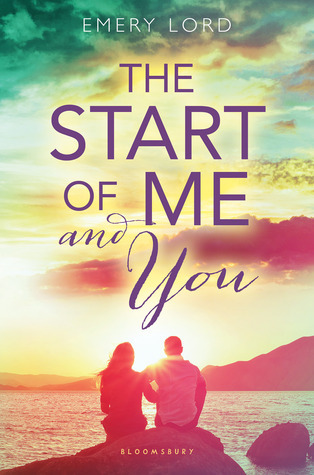 Her second book, The Start of Me and You, tells the story of Paige Hancock, who is trying to recover from the accidental drowning death of her boyfriend Aaron. The novel explores Paige’s struggles and triumphs as she follows her plan to recovery. Along the way, we meet Paige’s team of supportive friends and watch her begin to open up to new people and experiences. It’s not all sunshine and rainbows for Paige, though; she still struggles with drowning nightmares and she is watching her parents go through an awkward stage after their divorce. I really can’t say enough good things about this book. As I said before, Lord is able to capture what it’s like to be a teenager incredibly well. Her characters are so well developed and each one is so distinct that they feel like a real person and not just someone who exists on a page. Not only do we see the part of Paige’s life that the story is mostly focused on, but we get to really see who she is as a person and what her passions are. I adored Max Watson—he is such a sweet and quirky “nerd,” but I love that he’s true to himself and so unashamed of who he is. And while Ryan Chase doesn’t become the romantic interest, I love that he is a good guy and becomes a good friend to Paige. One thing that is special about this story (and Emery’s books in general) is her description and exploration of friendship. She’s created a quartet of girls who are all so different, yet their friendship just works. These girls disagree and face obstacles from time to time, but they’re always there for each other when it’s most important. The friendship between Paige, Tessa, Morgan, and Kayleigh is a vital piece of the story. It’s really refreshing to read about friendships that are founded on love and respect for each other. In addition to the friendship aspect, The Start of Me and You explores the family dynamic. Paige’s mother has been overly-controlling since Aaron’s death and has an…abnormal relationship with Paige’s father, whom she is divorced from (but now dating). Paige and her sister don’t always see eye-to-eye, but they come together when necessary. Her Grammy is such a sweet lady and you can’t help but love her the instant you meet her. Even though she has developed Alzheimer’s and is beginning to lose some of her memory, her advice and support is just what Paige needs. She’s not just Paige’s grandmother, but a friend and role model as well. Grief is a powerful thing to be dealing with, and I really appreciated that what Paige is going through isn’t downplayed. The reader gets to see it from many different angles. We see the impacts grief has on different people and how it changes over time. At such a young age, this is the first time Paige has lost someone close to her, and The Start of Me and You does an excellent job of exploring how you move on from such a devastating experience. I had tears in my eyes at many different points throughout the book as Paige hit some bumps in her journey, but she’s one of those characters you can’t help but root for because she’s so likable and relatable. My singular complaint would be that I wanted more exploration and development of Paige and Max’s relationship after they get over the conflict. They’re so great together that I wanted a chance to see them as a real couple, especially because their conflict was so raw and emotional. I absolutely recommend The Start of Me and You for anyone looking for a contemporary YA novel. Emery Lord has a gift, and I can’t wait to see what the future holds for her. 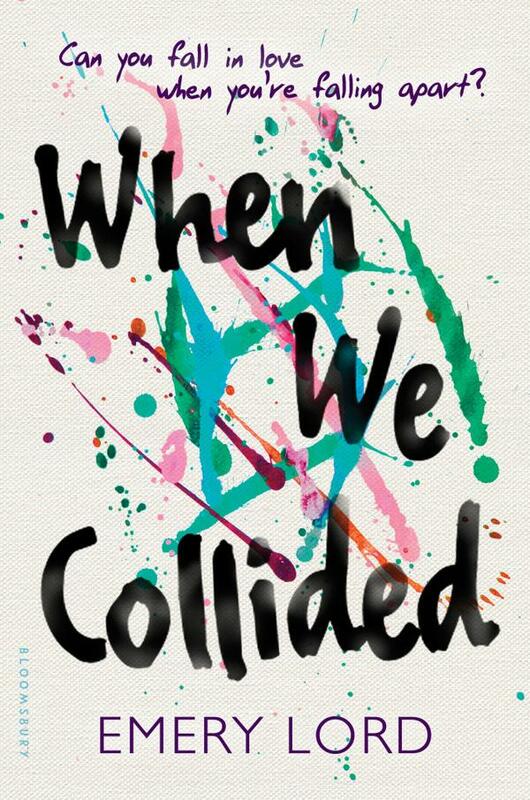 Click here to read for background about When We Collided. Previous ArticleMovie Review: "Chasing Ghosts"